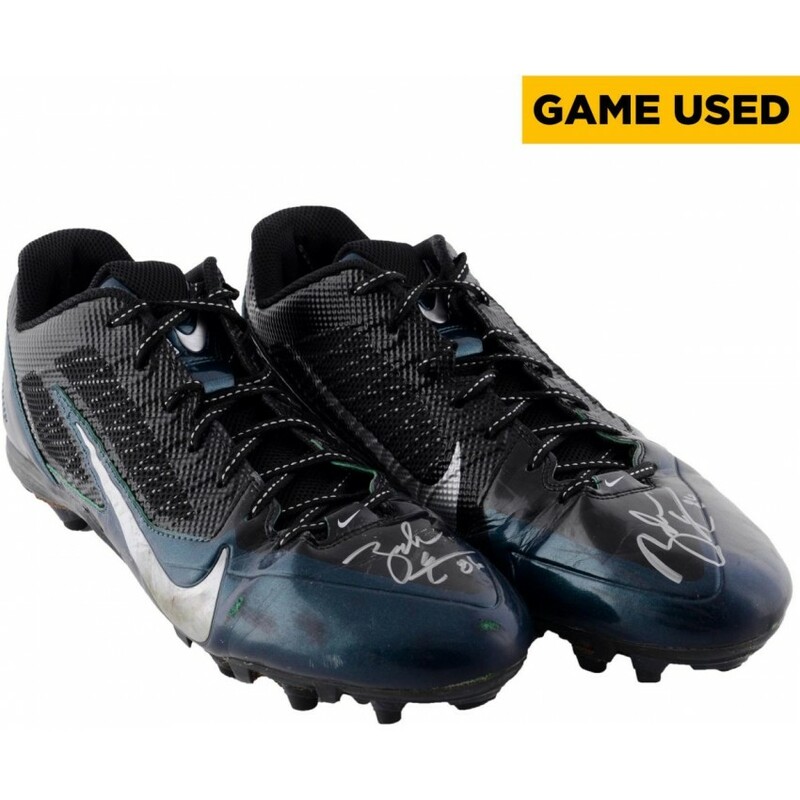 These game-used cleats have been worn by Zach Ertz during the Philadelphia Eagles 24-14 loss to the Seattle Seahawks on December 7, 2014. They are officially licensed by the NFL and comes with an individually-numbered, tamper-evident hologram from Fanatics Authentic. To ensure authenticity, the hologram can be verified online. This process helps to ensure that the product purchased is authentic and eliminates any possibility of duplication or fraud. This puck has been personally hand-signed by Patrick Kane. It is officially licensed by the National..
Commemorate Vince Wilfork and the New England Patriots winning their 4th Super Bowl with this autogr.. The Los Angeles Lakers wall-mountable cap display case is made of 1/8'' thick acrylic with a brown w.. This game-used jersey was worn by Isaiah Crowell during the Cleveland Browns 26-25 loss to the India..